I don’t know about you but I love Halloween. I’m sad it wasn’t such a big thing when I was growing up, I would have found trick or treating the most exciting thing ever! I’m pleased this celebration seems to be growing in popularity over here in the UK and now on 31st October families around the country are carving pumpkins, dressing up and walking around the streets in the evening chatting with their neighbours! 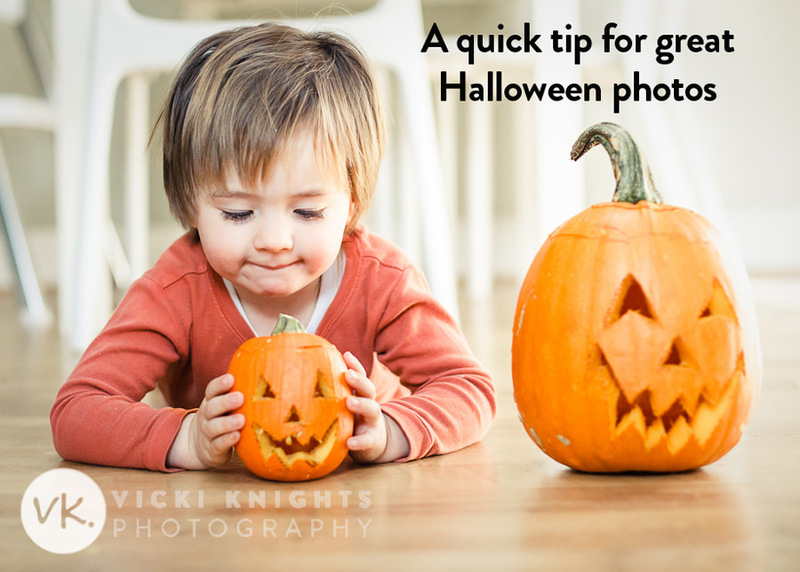 I wanted to give you a quick and easy tip for getting great Halloween photos. I know what often happens on an event like this… you’re rushing around getting the kids ready, then you quickly grab your camera as you’re leaving the house. Then what happens is you end up shooting in the dark and the dreaded flash fires every time you take a photo (which never looks good!) So not only do you end up disappointed with the photos you’ve taken, you’ve missed half of the excitement of the event with a camera in front of your face! So what’s the answer? It’s really very simple….take your children out in their Halloween costumes during the day. Make it into a treat. They get to dress up for a trip out during the day AND they get to wear it again for trick or treating too! So then you get to photograph them in the daylight (which results in much nicer photos), and you get to leave your camera behind on Halloween evening so you can really get involved and enjoy the moment rather than worrying about taking lots of photos. Here are my boys dressed up as a ghostbuster and a ghost, all taken in our garden a few days before Halloween. As you can see they were more than happy to dress up and pose for the camera! Oh and please ignore the questionable ghost outfit and straight-out-of-the-packet creases on the ghostbuster outfit. A crafty Pinterest mum I am not! And a few years ago we took the boys out in their costumes to Painshill Park in Cobham, Surrey. Here are some photos I took of them before we left the house and when we were out and about. 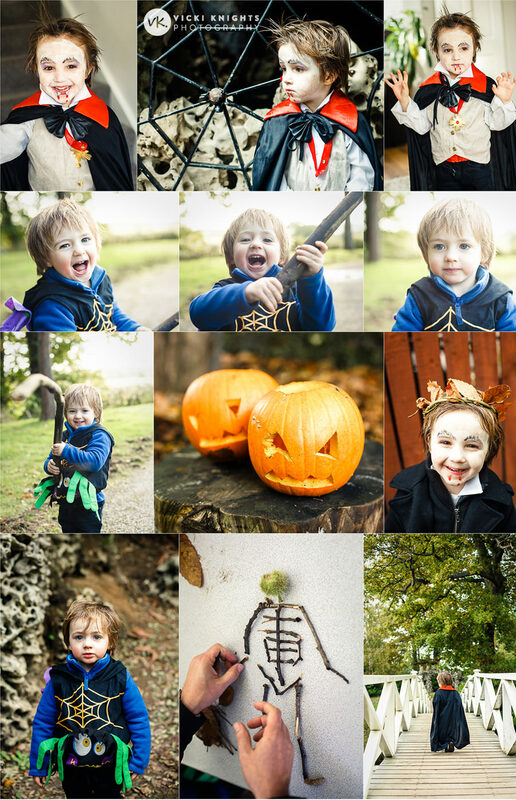 Because I knew I’d got all of these lovely photos of them in their costumes, I could just relax and enjoy Halloween itself without worrying about snapping away constantly. If you’ve found this tip useful, then you’ll love my training video with my 8 secret tips to getting natural expressions in your family photos. Just fill in your details below and you’ll be sent it straight away. Have a great Halloween and please be safe. I haven’t stopped thinking about this video of Claudia Winkleman talking about her daughter’s horrific accident last Halloween. Please take really good care and have fun. 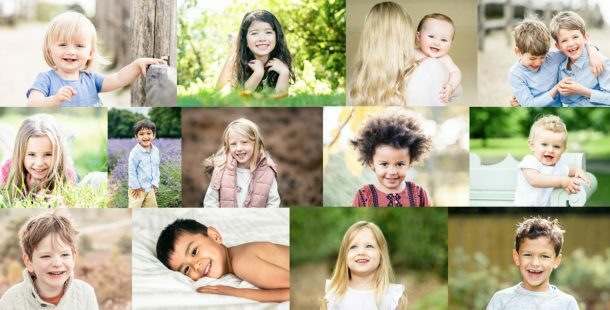 « My new FREE photography video training for parents is live!